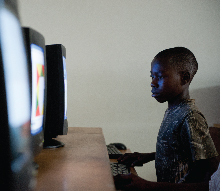 Empower communities with the gift of information technology in rural Ghana, today by helping with Computers and funding for ICT Teachers. If you would like to be part of the terrific effort to support Rural Communities Empowerment Center help us provide economic skills for our women as well, we would love to hear from you! 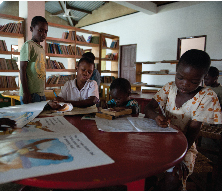 Our Community Resource Centers (CRCs) provide library services that makes reading materials available to everybody. This is a great place for students to do homework, get mentoring in reading, math, and science to students who are 13 to 20 years old. Teachers also use the library’s resources to supplement their own lesson materials and pursue their own out-of-class study needs. In fact, we have seen a sharp increase in reading interest with over 12,000 people using our library facilities. Our CRCs also feature Information and Communications Technology (ICT) programs that train children (grades 4-12), teachers, and other adults how to use computers and access the Internet. Not only does this break their sense of isolation from the rest of the world, but they are learning to access information, exchange information, and compete in this emerging online global village. As part of our rural development goals, to date, over 2,400 schoolchildren and adults have taken introduction ICT classes, and more than 3,000 people have learned and used the Internet. 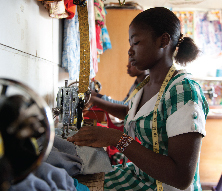 Empower girls and women with economic and communication skills to participation in their own development. Coach them to use their new found confidence to help tackle the harmful cultural norms that limit their aspirations. Women have to speak up for themselves more now than ever before. 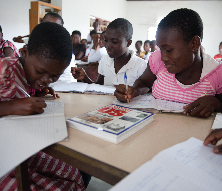 Our CRCs offer empowerment programs to assist the development of women and girls, including communication skills. We provide our women and girls coaching to help them to tackle the harmful cultural norms that limit their aspirations. Help us continue to make a difference to the rural children and women of Ghana. Donate to a program or offer to volunteer today.